All dogs and cats residing within the City Limits must be licensed by April 1st of each year. Licenses may be purchased at City Hall. Owners must provide proof of Rabies vaccination at time of license. Pet licenses costs $5 if the pet is spayed or neutered or $10 if they are not. No one may permit a dog or cat to run at large. All animals must be in complete control of their handler at all times. In addition, no animal waste may be left in another person’s yard, or on any city property. Handler must immediately clean up after their animal. Dogs are limited to three per household. Stray cats and dogs from within the city limits will be taken to the Humane Society of Waupaca County (HSWC). If you find a stray animal during HSWC open hours, and if you can safely contain and transport the animal to the Adoption Center, you may take it there yourself. 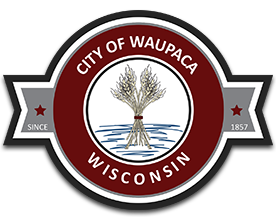 If you need assistance, please contact the City of Waupaca Police Department. If you have lost an animal, please contact HSWC to be entered into the Lost and Found log, or to reclaim it if it has already been found. If you would like to adopt an animal, HSWC has many wonderful animals up for adoption that are already spayed or neutered. The Adoption Center is located on Commercial Drive, behind the Waupaca Airport. HSWC phone number is 715.258.2545. Friday 2 – 7, Saturday noon – 5pm, Sunday 11am – 1pm.